It is a great pleasure to be President/ Secretary General of Delhi Gynaecologist Forum which we have nurtured for the last 9 years with full dedication and labour. In 2001 a group of us (30) joined the hand and sowed the seed of Delhi Gynaecologist forum and today it has grown in a healthy tree with 600 members in its fold and even growing continuously. 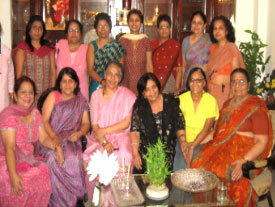 In such a short span of 9 years, you will be happy to know that Delhi Gynaecologist Forum has 3 forums i.e. East Delhi Gynaecologist Forum, West Delhi Gynaecologist Forum and South Delhi Gynaecologist Forum under the leadership of Dr. Ila Gupta, Dr. Jyoti Agarwal , Dr. Narinder P.Kaur, Daljeet Chadha, Dr. Uma Goel, and Dr. Anita Sabharwal respectively. Delhi gynaecologists forum is an association of Quality conscious Gynaecologists who believe in quality service and social responsibility. With its 9 years old history of community service and academic activities, it is one of the best professional bodies in the capital. MOVEMENT AGAINST ANAEMIA received our first priority to attack rampant aneamia and malnutrition. We are working relentlessly for this cause. Forum has its credit for many other community health and development projects; Movement Against Osteoporosis, Female Foeticide, Adolescent health, Yearly checkup, at multiple sites for Cancer detection, and ‘Help Yourself Movement’. Two years back, we launched WOW INDIA (a sister organization of Delhi Gynaecologist Forum) focusing on creating women health awareness movement in the country. WOW INDIA has a mission “WOMEN’S HEALTH IS IN WOMEN’S HAND”. It envisages the visionof creating awareness on Burning Health issues For All Women And Girls by public private partnership, pooling and sharing resources , creating a common platform for all stakeholder and family based intervention with community involvement. Our work has been appreciated by local community and state level. This is only beginning of our work …. This year with all humility we have a very strong central team. After long discussion with core members, we are introducing some new things. Woman of the Year Awards- in Health, Social Work, Music, Art and dance. We need your regular feed back, enthusiastic participation and some new ideas which you wish to share with your colleagues.